We strive to develop long-term relationships with our clients. Our ability to understand the situations facing our clients, as well as our client’s objectives, allows us to serve our clients’ needs, whether the client is a corporation, a business, municipality or an individual. 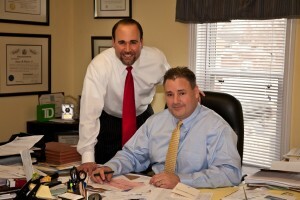 You should not send any confidential information to Fiore & Barber, LLC until have you received written acceptance from us of any legal services you have requested. The content of any such correspondence, via email or otherwise, will not be considered confidential unless you have received such written acceptance. Any information sent to Fiore & Barber, LLC via Internet email or through our website is not secure and is done so on a non-confidential basis. Fiore & Barber, LLC assumes no responsibility for the loss of confidentiality for any information that you transmit to us via the Internet. The material contained on this website is afforded for information purposes only. The materials do not constitute legal advice and does not create an attorney/client relationship.